Current company President, David Burroughs, will fill his father’s position as the new chairman of the board and lead the evolution of the iconic American outdoor company into the future. Cascade Designs, Inc.,® the classic American outdoor company steeped in product innovation and heritage, today announces that company founder and Chairman of the Board, John Burroughs, will be leaving his post after 46 years of company leadership. 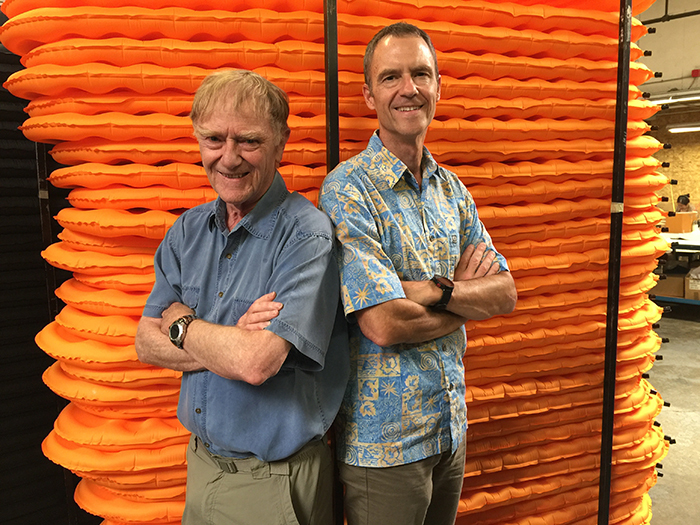 John, 82, an accomplished mountaineer and world traveler, founded Cascade Designs in 1972 and has led the company to include a collection of award-winning brands including Therm-a-Rest®, Mountain Safety Research® (MSR), Platypus®, SealLine®, and PackTowl®. John’s decision to step down from his role after nearly 50 years comes as a natural transition for the private, family-owned company as it continues its leadership in the industry and dedication to its customers, suppliers, and employees. The company will continue its commitment to manufacturing in market to ensure supreme quality control and to bolster the in-market workforce. John, who will remain on the board of directors, plans to enjoy more time with his wife and family. Current company president, David Burroughs, will take on his father’s position as the new Chairman of the Board as part of the planned transition for the family business. David has been with Cascade Designs for 14 years where he worked as VP, Strategic Business Development before becoming President in 2016. David has been an active member of the board of directors since 2004, but his involvement with the company started long ago when he helped to package Therm-a-Rest products in his youth.